This weekend, the Indonesian energy community has been shocked with the sudden passing of Prof. Widjajono Partowidagdo, Indonesian Deputy Minister of Energy and Mineral Resources while he was climbing Tambora Mountain in Eastern Indonesia. During his short tenure, he showed a strong clarity of thinking to find solutions for Indonesia’s energy challenges and also the courage and resolve to translate those ideas into action. Indonesia has been facing serious energy challenges over the last decade. While domestic oil demand is on the rise, our production is dwindling, resulting in large imports of oil. Although Indonesia has abundant coal, natural gas, and geothermal energy, it uses more-expensive oil to make electricity. This has busted the state budget with a whopping USD$25 billion fuel and electricity subsidy that helps the wealthy much more than the poor and is a major drain on tax revenues that could otherwise be spent on education, infrastructure, social services, and agriculture. Under Prof. Widjajono’s leadership, the nation demonstrated that it has the courage to face these energy challenges and put together a plan for energy security and prosperity. With a strong mind, clear thinking, and passion for the cause, he comprehensively reviewed the current situation and developed a smart strategy to move forward. He quickly identified the unnecessary complexities that made the Indonesian oil and gas sector sluggish and then developed a detailed and comprehensive revitalization strategy to make things better. 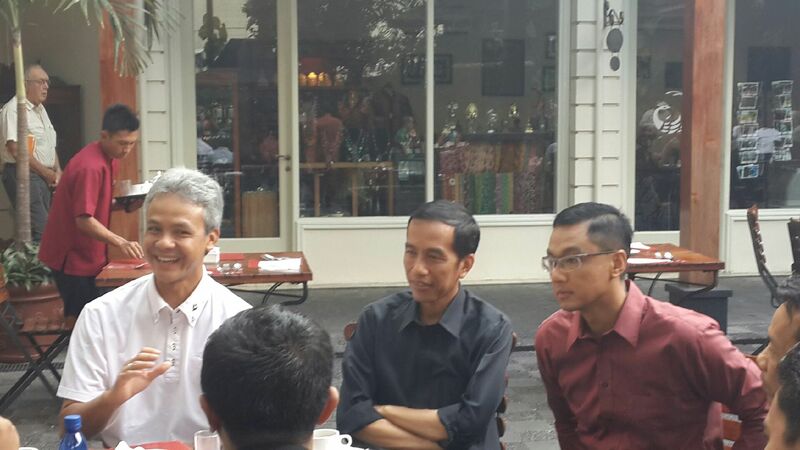 He also believed that depending on oil imports was a serious breach in energy security and a blunder in national energy strategy.Based on large findings of Indonesian natural gas, he proposed converting the transportation sector from gasoline-based to CNG-based (compressed natural gas) by later this year. His innovative plan would substantially reduce government spending on gasoline subsidy, improve energy security by using domestically produced-natural gas, and create good jobs that would result from extensive infrastructure development. But his efforts were not without any challenges. Sometimes, his thinking was ahead of regulations and government preparedness by several steps. When he presented the idea to the the Indonesia House of Representatives, the response was cool and he was advised to postpone the plan. But his persistent efforts to get the idea across did not stop there and it only took a little longer to get a response from the government. Finance Minister Agus Martowardojo has now announced that roughly USD$100 million of seed money will be invested to support the utilization of natural gas-based fuels in the transportation sector. Prof. Widjajono also worked hard to improve electricity generation and make it more reliable and economically efficient. In the past, electricity shortages have been a recurring problem for Indonesians. Rotational power interruptions, commonly called brownouts and blackouts, have been a frustrating daily experience that hurt our economy and cause difficulty for citizens. The national power shortage is particularly disappointing considering that Indonesia is among the largest exporters of coal and natural gas. He quickly identified this problem and made a game-changing plan to prioritize the domestic market over the international market and revitalize the electricity sector. In his famous interview with the Society of Petroleum of Engineering he emphasized that the government should be peopled with officials who are not only honest, but professional and dedicated as well. He thought Indonesia should be daring enough to learn from its past mistakes. Although he was famous for thinking clearly, perhaps even more importantly he was not afraid to translate that thinking into action. 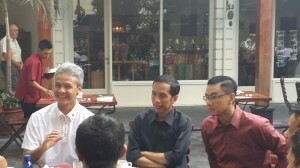 Satya Yudha, a prominent member of the House of Representatives on the Energy Commission and who often differed with Prof. Widjajono’s opinions, said Indonesia has now lost the best energy strategist who was not affected by political considerations or business gain but emphasized a no-nonsense approach. Indonesia Director General of Oil & Gas Dr. Evita Legowo said that Prof. Widjajono’s ideas to solve energy challenges were bright but most of the time they were ahead of the times; the government wasn’t prepared in terms of regulation and infrastructure to implement them. 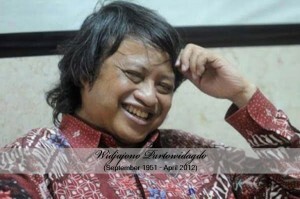 Prof. Widjajono was a humble man in his daily life. Upon his appointment as the deputy minister of energy and minerals, he showed up at the presidential palace with unkempt hair, shabby batik dress and shoes, and ripped sling bag. Nothing changed in his daily life. It was a rarity to see such profound humility in high-ranked government officials. Journalists loved him because he was always accessible. Giving impromptu live interviews on TV was part of his daily activities. This was most unusual for an Indonesian high-ranked government official, as most of the interviews are usually heavily scripted. He was a brilliant academic who understood the needs and concerns of the people and how to communicate to them, giving him the power to marshal the whole nation to move forward. He also loved to help other people learn. He was easily accessible to anyone who wanted to communicate with him. He even sent books for them to read and facilitate their learning process. It is no surprise that everyone who knew him loved him. Everyone who was lucky enough to be his friend was gifted with his friendship. He was a very loving and kind man. Today, Indonesia is a nation in mourning. But the late Prof. Widjajono lives on in the immortal words and works that he left behind. The sadness we feel at his passing away should awaken the whole nation to cherish these values and understand better that no matter how difficult the challenges of the nation, Indonesia can overcome them. Mere words are not enough to honor him; the whole nation must continue the important work that he began. Darmawan Prasodjo, PhD is energy economist and chief editor at Petronomist.com. He is also an economist at the Nicholas Institute for Environmental Policy Solutions, Duke University, USA, and himself an Indonesian national.